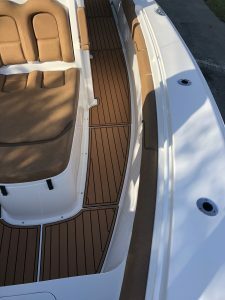 We just finished the installation of our non-skid decking on this 2017 Bayliner Element e16 bow rider. 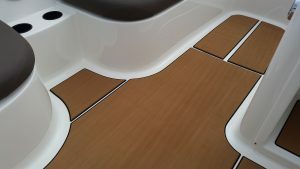 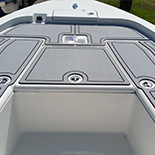 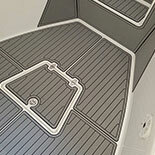 This boat already comes with an optional factory upgrade with a competitors decking, however, the factory upgrade was only available for the interior flooring. 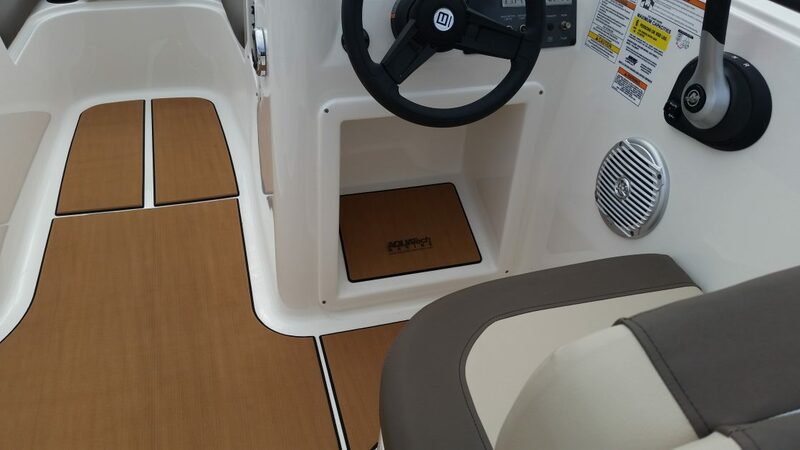 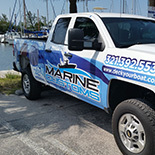 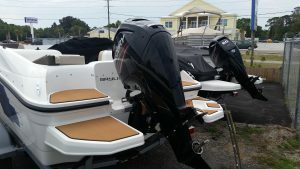 After a quick review of the boat’s layout, our Design Consultant here at Marine Customs was able to provide the dealer with a few additional non-skid mock-up packages for customers to choose from during their sales process. 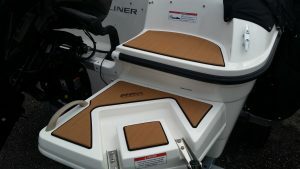 As a result, we are pleased to announce that we now have both full and partial non-skid decking kits for the Bayliner Element e16 and e18 models. 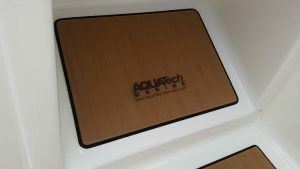 We also added laser-etched logos for our customer at the helm station pad and swim platforms.